For many who keenly followed the proceedings of the Osun Governorship Election Petition Tribunal in Abuja, it would have been a huge surprise if the final verdict had turned out any other way. 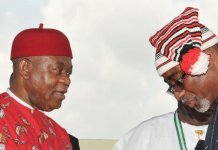 The expectation was that Governor Gboyega Oyetola of Osun State, the state chapter of the All Progressives Congress (APC) and the Independent National Electoral Commission (INEC) could not muster a coherent defense against the overwhelming indictment from evidence presented by the state chapter of the Peoples Democratic Party (PDP) and its governorship candidate, Senator Ademola Adeleke who approached the tribunal, seeking justice for perceived injury that led to his loss in the governorship contest. The better part of the tribunal sitting, were characterised by stunning sessions as the defendants, Oyetola, APC and INEC employed various delay tactics to sway the course of justice. To the consternation of the legal teams of APC and Oyetola, many of their witnesses inadvertently ruined their case under cross-examination as they sustained evidence that countered the submission of their principal. The Osun State INEC finally nailed the coffin on the case of the defendants when it closed its submission without calling a single witness. The commission, through its counsel, Adesina Agbede closed the case without canvassing any argument against the presentations, submissions and prayers of the petitioner Senator Ademola Adeleke, that he be declared the rightful winner of the election based on the results of the first ballot on September 22, 2018. On the contrary, Adeleke and the PDP called 80 witnesses to authenticate their prayers and also tendered over 500 pieces of documentary evidence. By closing its case without any defense, INEC literally endorsed and conceded to the PDP petition seeking declaration of Senator Adeleke as the winner of the election. Since INEC was the one that committed the infractions and had literally accepted the pleadings of Adeleke and the PDP, it would have been a surprise if a different verdict was handed down by the tribunal. It must be noted, however, that there was the possibility of an upset in favour of Oyetola. Instead, the three-person tribunal returned a split decision of two to one to nullify the election of Oyetola. The verdict returned by the tribunal will remain fresh in the memory of watchers of the polity for a long time. 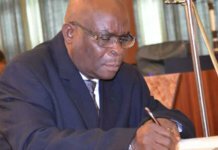 The setting up of the tribunal itself was the aftermath of the September 22, 2018 governorship election and the September 27, rerun election that followed. 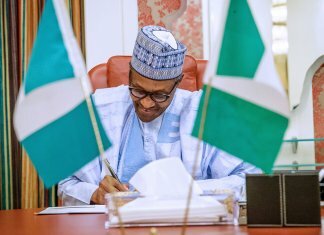 The tribunal’s decision which was announced in Abuja on March 22 has brought to an end the first phase in the legal battle for the number one position in the state which started about six months ago. The tribunal in its lead judgment also ordered INEC to immediately withdraw the Certificate of Return earlier issued to Oyetola and issue a fresh one to the PDP candidate, Senator Ademola Adeleke being the lawful winner of the election. INEC had on September 28 declared the candidate of the APC, Oyetola, winner of the 2018 Osun governorship election. Oyetola was returned as governor-elect at the end of a supplementary election which held in seven polling units across four local governments. According to the electoral body, the APC candidate had scored a total of 255,505 votes as against the 255,023 scored by his closest rival, candidate of the PDP, Adeleke. The declaration of Oyetola as governor by INEC set the stage for the legal action which commenced last October with the filing of an application by Adeleke and his party, the PDP for leave of the tribunal to inspect materials used by INEC in the conduct of the governorship election. The request was to enable them institute and maintain their petition. While Onyechi Ikpeazu (SAN) represented the plaintiffs, Wole Olanipekun SAN appeared for Oyetola; Akin Olujinmi (SAN) for the APC and Lasco Pwahomdi stood in for INEC. This was followed by the main petition filed in October challenging the victory of the APC and Oyetola. The petition among other things was anchored on grounds that the re-run poll was marred by manifest irregularities. In the petition marked: EPT/OS/GOV/1/2018 Adeleke and the PDP, therefore, urged the tribunal to nullify the victory of Oyetola and declare them as winners of the September 22, governorship election. 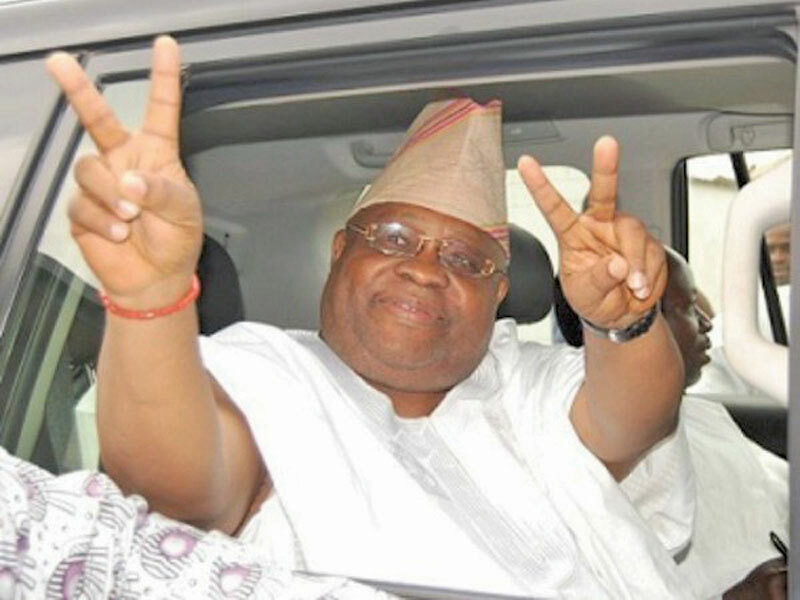 Adeleke in the September 22, 2018 election had polled the highest number of votes in the first ballot declared by the state returning officer, Prof. Joseph Fuwape. However, Fuwape had declared the election inconclusive on grounds that the number of registered voters in the seven polling units where elections were cancelled was higher than 353 votes with which Adeleke led the runner-up. Before delivering its judgment in the main suit, the tribunal dismissed the preliminary objection of the APC, Oyetola and INEC to the petition. The tribunal held that the objection was misconceived and that the tribunal had jurisdiction to entertain the suit. However, the tribunal was split into a fraction of two to one in its judgment with the chairman, Justice Ibrahim Sirajo, assuming a minority position while Justices Peter Obiora and Ayinla Gbolagunte gave the lead judgment that returned Adeleke as governor. The tribunal in the lead judgment set aside the rerun election conducted on September 27, 2018 for being unlawful. Justice Obiora held that the poll conducted in the 7 units is unknown to law because INEC has no power to conduct it in the first place. “We hold that the cancellation was unlawful and ultra-vires of his powers. 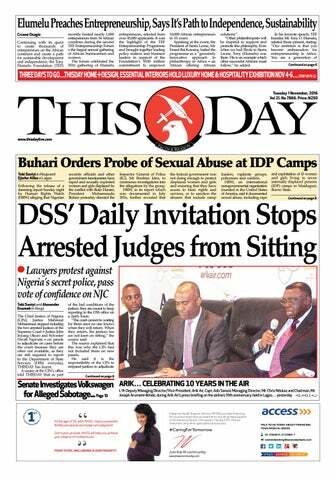 The cancellation cannot stand, being a product of illegality,” the tribunal held. According to the tribunal, it is the Presiding Officers in polling units where the alleged electoral infractions took place that are empowered to cancel the result and report same to Ward Collation Officers. The tribunal held that upon receipt of any of such complaints, the Collation Officer can then fill Form EC40G and submit to the Local Government Collation Officer who will in turn transfer the information in the Form EC40GI and hand same over to the State Collation Returning Officer. The tribunal held further that since it was not the Presiding Officers who cancelled the results of the seven Polling Units the action of the State Returning Officer amounted to an act of illegality. The tribunal accordingly invalidated the outcome of the re-run election on the premise that it was not conducted in substantial compliance with the Electoral Act, 2010, as amended. In another leg of the judgment, the tribunal held that PDP and Adeleke proved beyond reasonable doubt that INEC did not comply substantially with the Electoral Act in 17 polling units during the initial election of September 22, 2018. Based on this, the tribunal, went ahead and deducted votes that were credited to both PDP and APC in those units. In all, a total of 2029 votes that were credited to APC in the 17 polling units, as well as a total of 1246 votes that were recorded in favour of the PDP were deducted. After the deduction of the illegal votes, Adeleke got a total of 253,777 valid votes while Oyetola got 253,476 valid votes in the September 22, poll. It should be noted that, the tribunal in reaching this decision after a careful scrutiny of exhibits before it, noted that figures in the CTCs were different from those in the signed pink/duplicate copies that were handed to party agents at the end of the governorship election. The tribunal said that evidence adduced before it showed that INEC issued result sheets from same polling units and serial number, that contained different information. 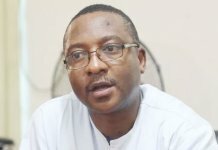 “We have no doubt that the alterations were made after the election had been concluded at the polling units and after agents had gone with clean copies.” The tribunal held that neither INEC nor APC which had agents in all the polling units was able to give any reason behind alterations that were observed on the result sheets. The panel accordingly upheld results contained in the clean copies that were tendered by the petitioners as genuine and regular. On the issue of vote buying, over-voting in various polling units, the tribunal held that the petitioners failed to prove the allegations. Overall, the lead judgment held that the petition was meritorious and subsequently awarded a cost of 200,000.00 against Oyetola and the APC. 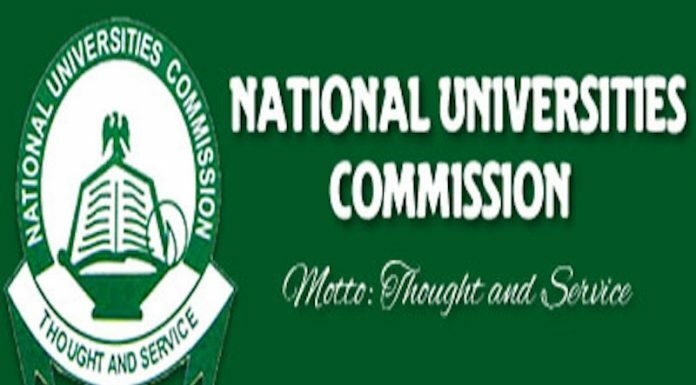 However, Chairman of Tribunal, Justice Ibrahim Sirajo, in his minority judgment held that the petitioners were unable to prove their claim of substantial non-compliance as alleged in their petition. He held that both Adeleke and PDP failed to prove how the non-compliance of non-recording in the columns of accredited votes and account of ballots in the result sheets substantially affected the final results. Justice Sirajo further held that by virtue of section 140(2) of the Electoral Act, the tribunal does not have the power to subtract the votes affected by the non-compliance from the scores of the candidates and announce a winner on the bases of infractions detected from the documents presented before it, adding that the tribunal only has the power to nullify the results of the polling units affected by the non-compliance and order a supplementary poll. The APC has since indicated its readiness to appeal the tribunal judgment that declared Senator Adeleke of the PDP winner of the September 2018 rerun governorship election in Osun State. Kunle Oyatomi, Director of Publicity, Research and Strategy for the APC, said the verdict would not stand superior legal scrutiny. *Sirajo held that both Adeleke and PDP failed to prove how the non-compliance of non-recording in the columns of accredited votes and account of ballots in the result sheets substantially affected the final results.